According to government statistics, in 2016 there were around 5.5m businesses in the UK, an increase of about 23pc since 2010. Of these, one million small businesses, 4,000 medium-sized businesses and 900 large businesses were new. Small businesses accounted for 99.3% of all private sector businesses. Total employment in SMEs was 15.7 million; 60% of all private sector employment in the UK. 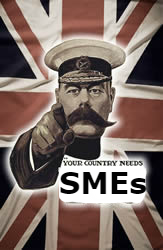 The combined annual turnover of SMEs was £1.8 trillion, 47% of all private sector turnover in the UK. It is widely acknowledged that the success of the SME/Small Business sector is key to driving the UK economy. Particularly now, as the UK faces possibly the greatest challenge in decades – Brexit. At Askews, we are looking to expand the business advice offered by working in collaboration with like-minded entrepreneurs in the West Midlands region. Our aim is to connect experts with SME/Small Businesses to help them succeed and contribute to the local economy. Insurance services to cover the needs of businesses with a wide range of commercial insurance companies. We are increasingly being contacted by many local businesses requiring help, whether they are business start-ups or established businesses in the Midlands. We hope you can join us soon. We can discuss which of our services will help your business grow and save money so that you understand which options are best for you in complete confidence.